As part of today's Sony Computer Entertainment event in Japan, Capcom showcased content from its popular Resident Evil survival horror franchise. The first trailer debuted for the definitive version of the critically acclaimed masterpiece Resident Evil. Fans of classic survival horror can get their first look at the visual upgrades they can expect by downloading the trailer and brand new artwork from the Capcom press site now. The game is set for release on PlayStation(R)4 computer entertainment system, PlayStation(R) 3 computer entertainment system, Xbox One, the all-in-one games and entertainment system from Microsoft, Xbox 360 games and entertainment system from Microsoft and PC in early 2015. 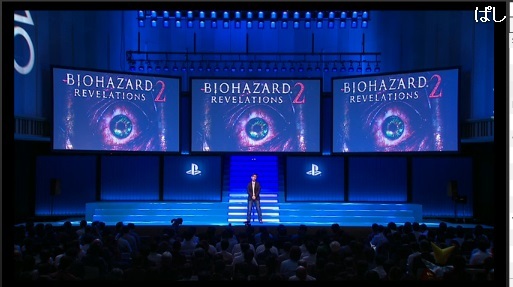 Also at the event, Capcom unveiled Resident Evil Revelations 2. The title is planned for release in early 2015 on PS4, PS3, Xbox One, Xbox 360 and PC. More information and official details for Resident Evil Revelations 2 will be available in the near future so please stay tuned. The live-action teaser trailer for the game is available to check out at the official Resident Evil YouTube page.